As a kid one of my favorite things to order at a restaurant for breakfast was French Toast. I loved the big giant thick slices, with the huge glob of butter and powdered sugar on top, and your choice of syrups... That was seriously one of my favorite things as a kid. Now that I'm all grown up I rarely order the french toast anymore because I can't justify letting myself eat that many calories... haha!! So I make it at home and try to make it as "healthy" as possible. But recently with my pregnancy dairy has become an issue for me, and that meant no more french toast as one of the main ingredients in the batter was Milk. Then a good friend introduced my Hubby and I to Almond Milk and all my problems were solved, I can drink it by the glass, use it in cereal, just about anything and it doesn't make me sick!! I LOVE IT!! I tried other kinds of "milk" before finally finding the Almond, I tried soy and that wouldn't stay down. Tried rice milk, and it worked for a few days then halfway through the carton it also made me sick. Never did try the coconut milk because honestly I am not a coconut fan. But almond worked and I have been a very happy Momma ever since. I actually really like it, probably more so than regular milk I must say. So when I finally decided to attempt making French Toast with it I was so pleasantly surprised by the results. 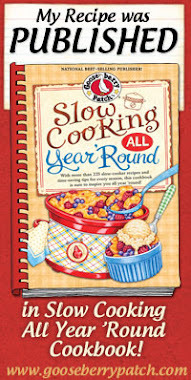 It added such a nice flavor to my regular french toast, my son gobbled it up, and even my Hubby approved! It was a hit, and to make it even better I got to indulge in my craving! You can use whatever milk you prefer in this recipe, but I highly recommend if you haven't given almond milk a try you should. It is so very tasty! 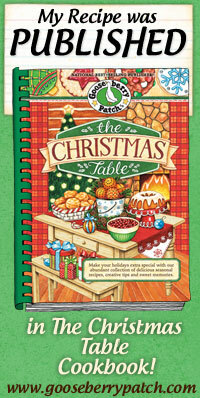 Pre-heat your oven to 350F degrees and spray a baking sheet with non stick cooking spray. In a deep dish beat the eggs, and add in the remaining ingredients. Dip your bread in the batter and evenly coat both sides. Place on the cookie sheet and bake for 10 minutes. After 10 minutes flip each slice over and bake another 5 minutes until both sides are golden brown. Serve warm with your choice of syrups. We really loved this french toast, and I'm actually contemplating making this for dinner tonight! You can use your standard griddle method of cooking this but I really love baking it in the oven, it adds an extra crunch to it and then you can cook all the pieces at once which makes my life a little easier! 4 stars. 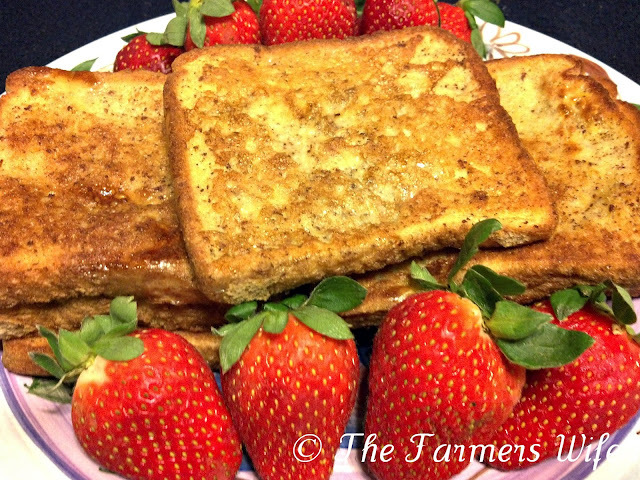 Your french toast is so tempting..great combination of ingredients!Have a great day sweetie!